I really wish I could have the full size picture. It is a Washington Post picture right? Write them. I know it isn't the same but my Dad used to get prints from the Chicago Tribune fairly often. The ones I remember most were of me feeding and chasing pigeons in the park as a kid although some were baseball too. It's from Getty Images but I don't want to buy it. Maybe I can get someone there to send it to me. I'd be interested in what you find out. I'd be interested in a print myself. 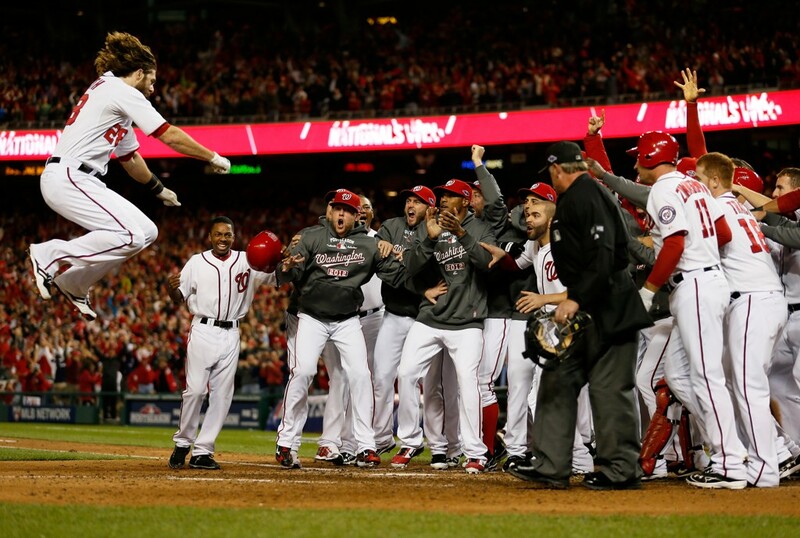 Lombardozzi's face is the best. Storen's a good second. Jackson just looks like he's thinking "I'm so losing my job this offseason..."
That is true. My cousins and I had stayed in our "seats" (we were on our feet hugging and cheering) for about 10 minutes until we started to walk down (section 406) to the main concourse. We joined in - and started - some "LETS GO NATS" chants on the ramps like it were a Redskins victory (I've only seen such chants successfully happen there). It was something amazing. Then the bullpen was packed for about 3-4 hours AFTER the game. I did more hugging at the park last night than I do at family reunions. 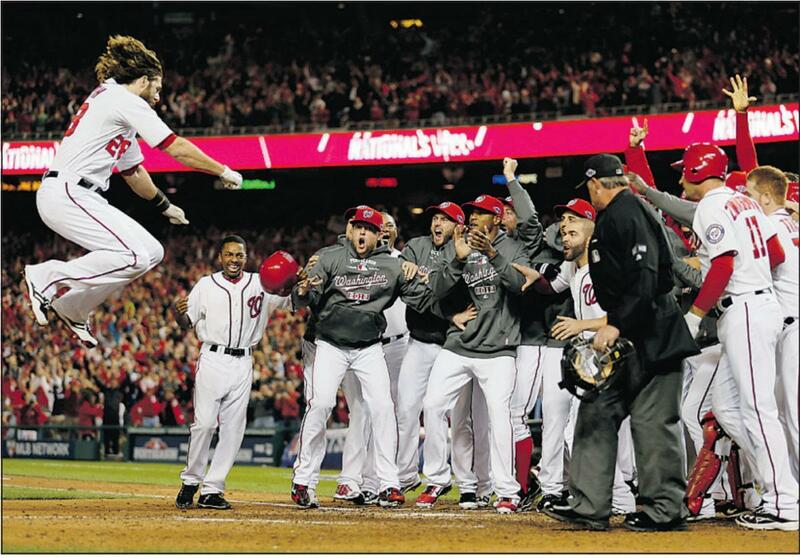 Count me among those interested in a print of the jumping Werth. Let us know!